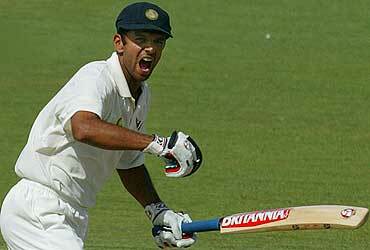 On Friday, March 9th 2012, Rahul Dravid announced his retirement from Test cricket. I wouldn’t say, the announcement hit me like a bolt from the blue! I knew it would happen and I also knew it would happen before the end of this year. However, I was surprised by the suddenness of the decision. Why now? I asked myself. And then, it dawned upon me. The best players go when the world is asking ‘why now?’ and not ‘when?’. But then, I thought, shouldn’t he have got a swan song series, a chance to say good-bye to his fans? He deserved it; moreover we fans deserved it. We could cheer for him in the stadium, chant his name, and shed tears as he raised his bat to us fans in the galleries for one last time, before walking into the sunset. While I was thinking about all this, I read his statement which said while he respects the fans’ desire to watch him play one last time, the fans should also respect his decision that this is how he wanted to go. No hullabaloo, no hype, no build up, only the poignancy of leaving and the pride of having served the game for so long! Typical of the man! No distractions, just getting on with his game.